Sakthiya is a registered Patents & Trademarks agent. 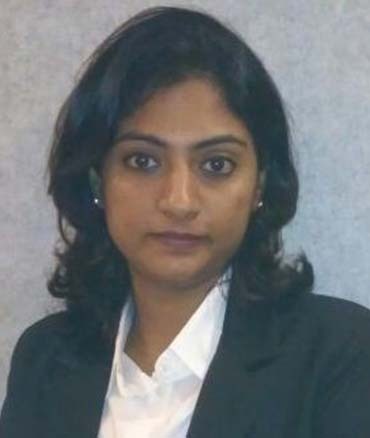 She has an expertise in drafting specifications for the US and Indian Patent Applications and conducting basic prior art searches for inventions related to biotechnology and nanotechnology, industrial engineering. She also has expertise in filing procedures with the USPTO, IPO and WIPO including responding to the Office Actions, maintenance, recordal of amendments, miscellaneous petitions and other general prosecution. She is also involved in clearance search, filing and prosecution of trademark applications with the Indian Trademark Office and USPTO. She handles registration of Copyrights, Designs and Plant Verity Protection applications in India. Apart from the IP registrations, she has an experience in drafting and vetting contracts related to IP licensing, assignments and transfers; services agreements and other commercial contracts including re-seller agreements, collaborative research agreements, co-development agreement etc. She has successfully demonstrated drafting and research skills on a variety of IP transactions, and has experience working with cross-functional teams, as well as independently, on a diverse variety of projects delivering business needs in an efficient manner.